Did you know how to pay your mortgage with a credit card for free? 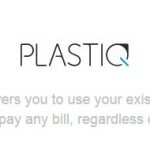 Plastiq is a website that lets you pay your mortgage with a credit card – sometimes for free. You might even be able to make a small profit. A good option for paying your mortgage with credit card or debit card is Plastiq. You can use Plastiq to pay your mortgage and other bills including your tuition, utilities and rent with a credit card. I regularly use Plastiq to pay my mortgage with a credit card and have had no issues. Plastiq has a referral program which can earn you and those you refer free online bill payments. For every person who signs up with Plastiq using your referral link and makes a payment of at least $500, you earn $1,000 dollars of fee free bill payments and that person will get $500 dollars of fee free bill payments. If you do not have a friend/family member to refer you to Plastiq, I would be grateful if you sign up for Plastiq with my referral link and you will earn $1,000 dollars of NO FEE bill payments after making a $500 bill payment. If you can make a few Plastiq referrals, you can pay a mortgage payment for free. If you have a credit card that earns more cash back or points than the Plastiq fee (2.50%), you can even make a small profit paying your mortgage. For example, the Citi AT&T Access More card earns 3X for online purchases (this card is no longer available to new applicants, but you might be able to product change another Citi card). The Chase Sapphire Reserve card also earns 3X for Plastiq online payments. 3) Keep an eye out for limited time Plastiq promotions with lower Plastiq fees. Even if you do not have a card that earns more than 2.50% in cash or miles, keep an eye out for limited time Plastiq promotions. Plastiq periodically offers promotions where it charges a lower fee than usual. For example, Plastiq briefly ran a promotion where the fee was lowered to 1.75% if you scheduled 6 or more rent or mortgage payments on a Mastercard. I have a Mastercard (Citi DoubleCash) that earns 2% in cash rewards so I scheduled several mortgage payments at that time locking in a 0.25% profit. UPDATE: Plastiq has a limited time promotion where you can pay your mortgage with a Mastercard for a lower Plastiq fee of 1.5%. If you have a Mastercard that pays rewards of 1.5% or higher you can pay your mortgage for free or small profit.